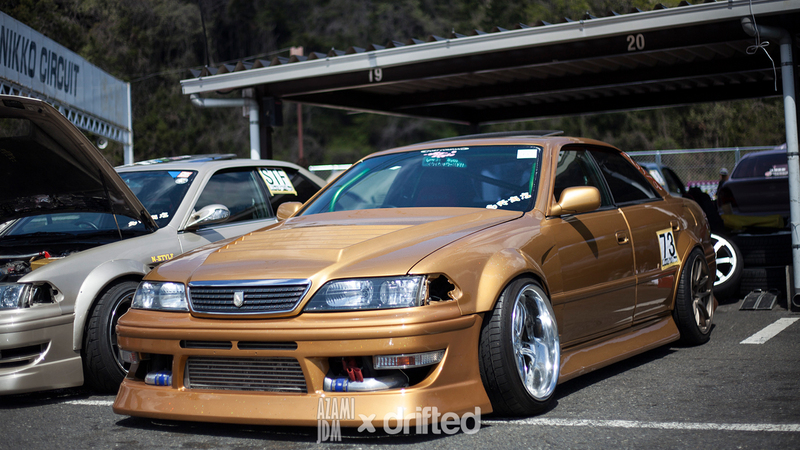 We snapped Hikaru Ikeda’s heavily customised JZX100 Mark II in the pits at Nikko Circuit. 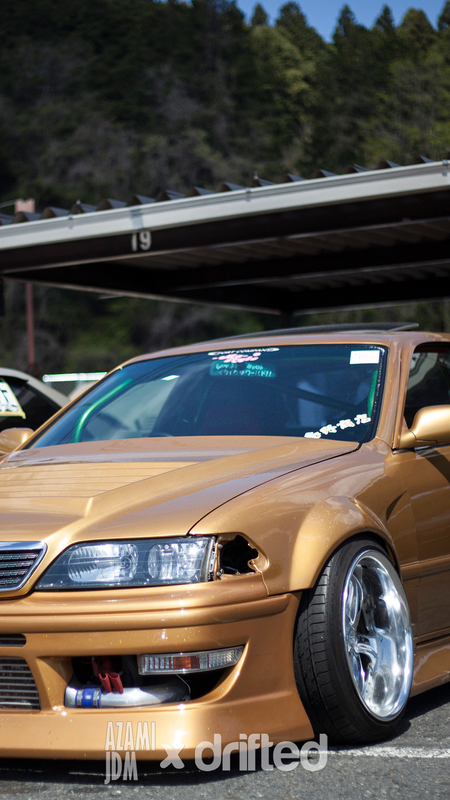 We’ve always had a soft spot for the big four door Toyota’s so when Drifted photographer Leith Petrie caught sight of this sweet JZX100 Mark II at 2017’s Black Mark Day, Nikko Circuit he had to take a closer look. 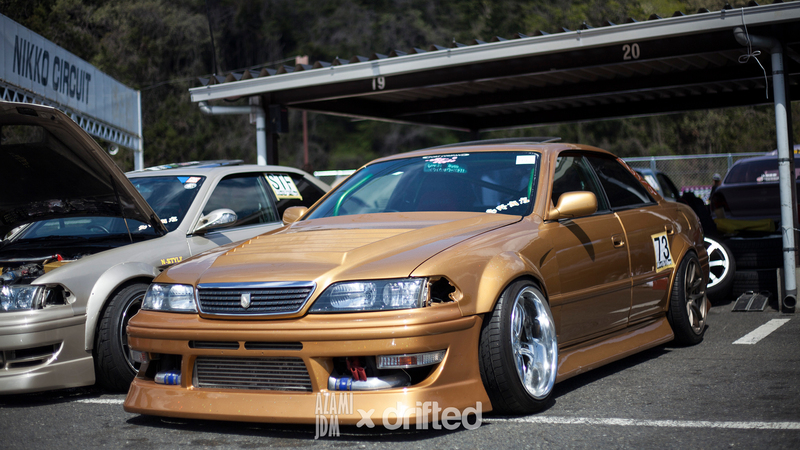 Hikaru-san is a member of N-Style, a group you will no doubt be familiar with if you follow drifting in Japan. He was giving his car a break after a morning of beating hard on his Trust TD06-25G fed 1JZ-GTE. You can find more about the 1JZ-GTE here. The exterior of the car features vented front fenders, flared rear fenders, a full BN Sports aero package, vented hood, FRP trunk and a high level roof spoiler. The cars was on it’s drift wheels (WORK VS-KF up front and WORK Emotion CR KAI at the rear) but it usually runs a dishy set of WORK Meisters in 18″ x 10j ET-20 up front and 18″ x 12j ET-22 at the rear. Racing Gear coilovers take care of the suspension alongside an assortment of adjustable arms. Pick the resolution that best fits your device, or if in doubt just pick the larger size at the bottom of this list. If you would like it in a difference resolution just let me know what size you require in the Facebook comments below. 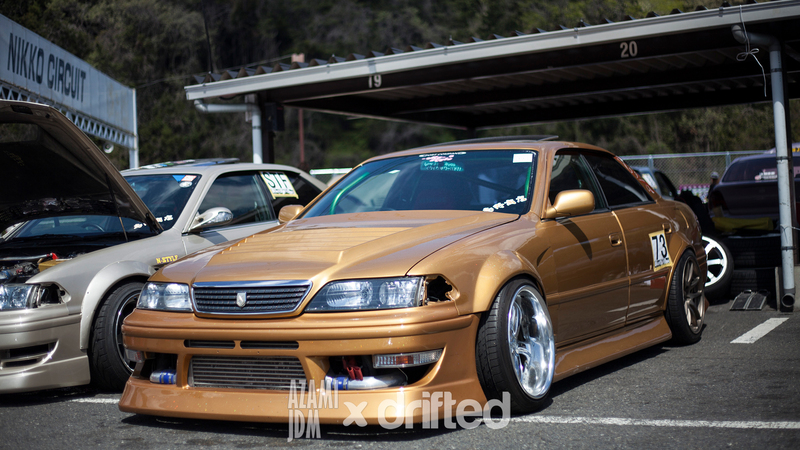 If you are in need of some rare JDM parts or looking to import a car check out Azami JDM. DESKTOP: What Would Matt Powers Do?